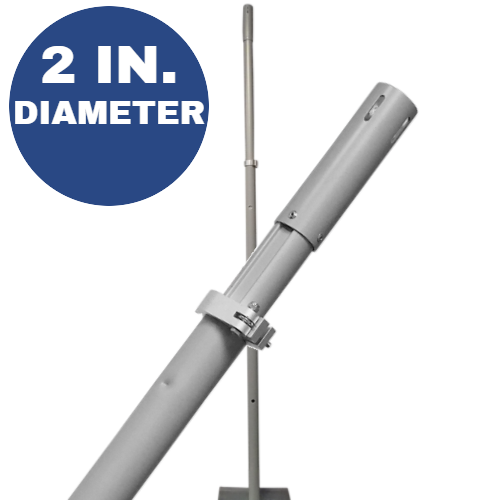 Adjustable to any height between 10 feet tall and 18 feet tall (120 inches to 216 inches). Button stop allows the height to quickly be set at any foot interval: 11 feet, 12 feet, 13 feet, 14 feet, 15 feet, 16 feet, 17 feet, and 18 feet tall. Locking Clamp lets you set an "in between" height that isn't at an even foot interval (for example, 17 feet 6 inches tall). 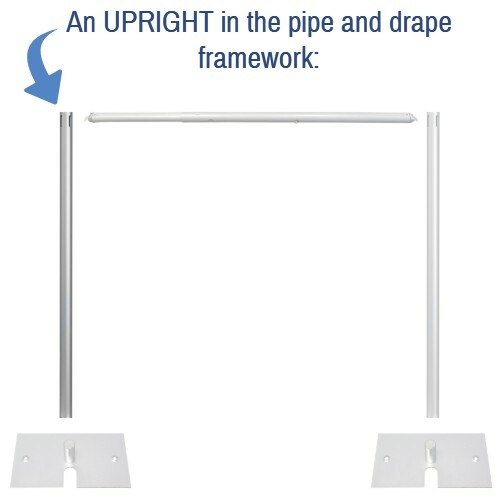 The minimum size/weight base recommended for this upright is our Heavy Duty 24" x 24" (61 lb) base.